Today the House of Commons Select Committee on Business, Energy, and Industrial Strategy (BEIS) published its report on corporate governance, after extensive consultation of oral and written testimony from a wide range of stakeholders. I applaud the Select Committee for such an extensive, thorough job with an issue of national importance, and am personally grateful to them for publishing my initial and supplementary written testimonies as well as inviting me to testify orally in Parliament. I endorse the vast majority of the recommendations and believe that they will help “make Britain a country that works for everyone”, in Prime Minister May’s words. This post aims to summarize the 81 page report into a few simple bullet points, and link them to the evidence. LTIPs (bonuses based on hitting financial targets) to be scrapped from 2018; no existing LTIPs to be renewed. Shareholders’ “say-on-pay” vote will remain advisory, rather than being changed to binding (as initially mooted). The actual advocacy of pay ratios was lukewarm, with little justification given. See my Harvard Business Review article for the potential unintended consequences of such disclosure (including for workers themselves). I particularly applaud the report’s caution against overreacting to the scandals at BHS and Sports Direct. These scandals are tragic, but do not mean that all companies should have to suffer. However, this point is not subsequently picked up. Encouraging large shareholders to form, and helping shareholders to engage with companies, could further help the Government’s mission. See Chapter 4 of The Purposeful Company Policy Report. Workers on boards should not be mandated, but report highlights that there is nothing in the law to prevent it. Would like it to become the norm by opening up new director positions to all. This highlights the potential issue of “confirmation bias”. You can always find some academic paper to support any viewpoint (some studies support vaccination, others oppose it). So, just having “evidence” to support a viewpoint means little – what matters is the quality of evidence. One cannot just hand-pick an unpublished draft that shows what you would like it to show, particularly when the published version shows the opposite. I highlighted in my supplementary testimony that the result was overturned (and the US evidence was independently confirmed using UK data in a paper forthcoming in a top journal). Thus, while the bulk of the Report is balanced and well evidenced, it is surprising that it contains a statement known to be wrong. The Oxford Dictionaries word of 2016 is “post-truth”, which has led to a widespread, and very welcome, acknowledgment of the importance of correcting untruths. Thus, when such corrections are made, they should not be ignored. Moreover, that the paper finds that pay ratios are positively correlated with future performance is far from the final word. Academic evidence is only one input into a decision. My concern is only that, when evidence is quoted, it should be quoted accurately. I will discuss best practices for the use of evidence in my upcoming TEDx talk, “From Post-Truth to Pro-Truth”, on 12 May in London. See here for details of the event and excellent other speakers. Executive compensation needs to be reformed. But, most of the calls for reform focus on the wrong dimensions. They focus on the level of pay, or the ratio of executive pay to median worker pay – even though the evidence suggests that low ratios are linked to lower future performance. As I have argued in the Wall Street Journal and World Economic Forum, the most important dimension is the horizon of pay – whether it depends on the short-term or long-term. We certainly want executives to act in the interest of society, and for a more equal society. But, the way to increase equality is not to bring CEOs down, but to induce them to bring others up. Treating stakeholders (workers, customers, suppliers, the environment) well is costly in the short-term, but the evidence shows that it pays off in the long-term. So the best way to encourage purposeful behavior is not to scrap equity incentives (thus decoupling pay from performance), but extend the horizon to the long-term. The trouble is that it’s hard to find causal evidence of the effects of long-term compensation. This is because long-term compensation is not randomly assigned. If long-term compensation were correlated with superior long-term performance, it could be that incentives caused good performance – or that executives who knew that long-term prospects were good were willing to accept long-term incentives to begin with. An excellent paper shows that total stock ownership is associated with superior future performance, and the relationship is likely causal, but they do not look specifically at vested stock ownership, not restricted stock ownership which the CEO is forced to hold for the long-term. An insightful new paper by Professors Caroline Flammer (Boston University’s Questrom School of Business) and Pratima Bansal (University of Western Ontario’s Ivey School of Business) addresses this causality issue. 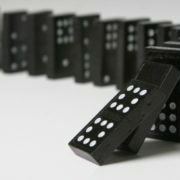 It studies shareholder proposals that not only are on executive compensation, but specifically advocate the use long-term incentives (rather than advocating, say, cutting pay) – restricted stock, restricted options, or long-term incentive plans. However, simply looking at all proposals wouldn’t get round the causality issue. It could be that shareholder proposals arise due to a large engaged blockholder, and it could be the blockholder – not long-term compensation – that improve future performance. So, Caroline and Tima use a “Regression Discontinuity Design”. They compare proposals that narrowly pass (with 51% of the vote) to those that narrowly fail (with 49% of the vote). Whether you narrowly pass or narrowly fail is essentially random, and uncorrelated with other factors such as the presence of blockholders – if there were large blockholders, they would likely increase the vote from 49% to (say) 80%, not 51%. They find that proposals to increase long-term compensation improve long-term operating performance, regardless of whether you measure it using return on assets, net profit margin, or sales growth. Interestingly, operating performance decreases slightly in the short-run, highlighting the fact that long-term orientation requires short-run sacrifices. 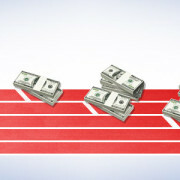 But, the long-run benefits outweigh the short-term costs – firm value rises overall. The goal of any pay reform should be to act in the long-term interests of society. Leading compensation expert Kevin Murphy forcefully argues that politicians’ desire to cut the level of pay is not driven by social considerations (given there is no evidence that cutting pay levels improve behavior), but jealousy and envy, or the desire to appear tough. Ironically, despite emphasizing the importance of thinking long-term, politicians’ proposals to regulate the level of pay are incredibly short-term. There will be an immediate gain in public approval from appearing tough, but the long-term benefits of instead making compensation more long-term are much more important. As an aside, Caroline previously used Regression Discontinuity in an excellent paper, published in Management Science, which shows that CSR proposals (again, those that pass by a small margin) significantly increase shareholder value and profits. This is a powerful result, since many naysayers argue that CSR is at the expense of shareholder value. Instead, businesses and society are in partnership with each other, not in conflict. As I argued in my TEDx talk, “to reach the land of profit, follow the road of purpose”. Does corporate social responsibility improve firm value? Below is an article I wrote two months ago for the World Economic Forum. Since it’s posted on the password-protected section of the WEF website, I reproduce it here. 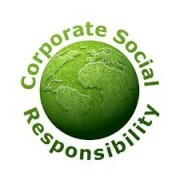 Does corporate social responsibility (“CSR”) improve firm value? When companies make decisions, should they care only about shareholders or should they take other stakeholders (e.g. employees, customers, the environment) into account? This is a decades-old debate, but despite many cogent views on both sides, there’s surprisingly little hard evidence. In 1970, Milton Friedman famously wrote that “the social responsibility of business is to increase its profits”. This view isn’t as hard-hearted as it may sound. Friedman argued that a company can only increase its profits by taking other stakeholders into account – producing high-quality products, treating its employees fairly, and having a good environmental reputation. Under this view, firms should focus exclusively on profits, and everything else will fall into place. Considering other stakeholders beyond the profit implication is at the expense of shareholders: a dollar spent on reducing pollution (beyond the level that will avoid an environmental lawsuit) is a dollar that cannot be paid as dividends. However, advocates of CSR argue that the Friedman view only holds in theory. In practice, it’s extremely difficult to quantify the profit implications of most socially responsible actions. A company could decide whether to grant an employee compassionate leave by trying to calculate the potential loss in morale and productivity if the leave was withheld, but these consequences are very hard to quantify. The CSR approach would be to grant the leave simply because it’s the right thing to do – because the goal of the company isn’t only to maximise profits, but to treat stakeholders with compassion. Treating employees fairly will eventually manifest in greater staff retention and future productivity. However, these long-run effects are difficult to quantify, so a firm focused exclusively on profits will not invest in its stakeholders. Whether CSR improves firm value has been studied extensively by management scholars. Most studies find a positive correlation between CSR and measures of firm performance, such as profits. However, correlation doesn’t imply causation. It may not be that CSR causes a firm to perform better, but instead that firm performance causes CSR – only firms that are performing well can afford to spend money on its other stakeholders. In addition, some studies consider only one industry, or a short time period, and so are hard to generalize. I decided to tackle this long-standing management question using a methodology from a different field – finance. This approach involves linking CSR not to profits, but to future stock returns, which reduces reverse causality concerns. If it was high profits that caused CSR, then the high profits would mean the company’s stock price would already be high today, and so we shouldn’t expect higher stock returns going forward. The next decision is how to measure CSR. The main challenge is that CSR is extremely difficult to measure objectively, as it’s intangible. Tangible measures do exist – for example, one could measure workplace diversity by whether there’s a minority on the board. However, tangible measures are relatively superficial and thus easy to manipulate. For example, a company that cared little about workplace diversity could put a token minority on the board to “check the box”. A separate challenge is that CSR comprises of many different dimensions – responsibility to employees, customers, the environment, etc, and it’s unclear how to weight these different constituencies. I thus focused on one particular dimension of social responsibility – employee satisfaction. I chose this dimension as a very thorough measure of it exists. Since 1984, there has been a list of the “100 Best Companies to Work for In America”. This list is compiled by surveying the employees themselves – it’s the ultimate in fundamental, grass-roots analysis. Two hundred and fifty employees are randomly selected in a firm and asked 57 questions on various aspects of employee satisfaction (credibility, respect, fairness, pride/camaraderie), which had been developed through extensive discussions with managers, employees and workplace experts. As a result, it’s arguably the most respected measure of employee satisfaction. Equally importantly, it has been available since 1984, and thus I have a long time-series which comprises both recessions and booms. The first list came out in a book in March 1984, then another book in February 1993, and then in the January edition of Fortune magazine every year from 1998. My methodology involves buying a the Best Companies in April 1984, rebalancing the portfolio in March 1993 to take the new list into account, and then rebalancing it every February from 1998. The one month delay is because I wish to test not only that employee satisfaction improves firm value, but also whether the market recognizes this link. Even if employee satisfaction improves firm value, my strategy should earn no returns if the market recognizes this link. As soon as a company appears in the Best Companies list, its stock price should go up, so I shouldn’t be able to generate returns by buying it one month too late. I compare the returns of the Best Companies not only to the overall market, but also to companies in the same industry. For example, Google is frequently in the Best Companies list, but its high returns could be due to the tech industry doing well, rather than its employee satisfaction. I also compare each company to peer firms with similar characteristics (e.g. size, dividend yield, recent performance, valuation ratios). In short, I try to control for as much as possible, to isolate the effect of employee satisfaction. I also remove the effect of outliers, to ensure that any superior performance of the Best Companies isn’t due to a few star performers such as Google. I find that the Best Companies beat the market by 2-3%/year, over a 26-year period from 1984-2009. This outperformance is highly statistically significant, and also economically meaningful – a fund manager who beats the market by 1%/year for 5 years is considered to be skilled. Moreover, this outperformance is based on a very simple trading strategy using public information on large firms. The results have three main implications. First, they suggest that employee satisfaction is beneficial for firm value. While it may seem natural that companies should do better if their workers are happier, this is far from obvious. Indeed, the 20th century way of managing workers is to view them as any other input – just as manager shouldn’t overpay for or underutilize raw materials, they shouldn’t do so with workers. High worker satisfaction may be a sign that workers are overpaid or underworked. However, the world is different nowadays. Human capital is the main asset in many firms, and employee welfare can improve productivity, retention, and recruitment. Second, even though employee satisfaction may be beneficial in the modern firm, the market doesn’t recognize this link. Even though I wait a month before forming my portfolios, the strategy generates superior returns. Similarly, the Best Companies typically report earnings that beat analyst expectations – analysts aren’t aware of the benefits of worker welfare. Indeed, I show that it takes 4-5 years before the market fully incorporates the value of employee satisfaction. This may be because traditional methods of valuing companies are based on the 20th century firm, and emphasize tangible factors such as short-term profits. This result has broader implications for firms’ incentives to invest for the long-run. If investors continue to value companies based on short-term profit, then managers will pursue short-term profit rather than long-run growth. Third, Socially Responsible Investing (SRI) – incorporating social considerations into portfolio choice – can add value. The traditional view is that SRI is costly to investment performance, as it involves screening out good investments and screening in bad investments. However, the Best Companies strategy generates high returns while supporting companies who treat employees responsibly – investors can do well and do good. This result is a consequence of the first two implications – employee satisfaction is beneficial (the first implication) but the market doesn’t recognise that it’s beneficial (the second implication). In concluding, it’s worth highlighting some caveats to my study. First, I’ve only shown a link between stock returns and employee satisfaction, and not other dimensions of CSR. Further research must be done to study whether there’s any link with environmental protection, animal rights, etc. However, since the traditional view is that no dimension of CSR should add value, the results are an important first step towards demonstrating the benefits of CSR more broadly. Second, while I control for many observable factors (industry performance, firm size, dividend yield, etc. ), I can’t rule out the explanation that an unobservable variable (e.g. good management) causes both employee satisfaction and superior returns. If so, my first implication is no longer causal – improving employee satisfaction (without changing management) won’t improve stock returns. However, the other two implications remain. It remains the case that the stock market misvalues intangibles – just that the intangible being misvalued is good management rather than employee satisfaction. It also remains the case that a socially responsible investor could have bought companies that treat their employees well and earned superior returns.